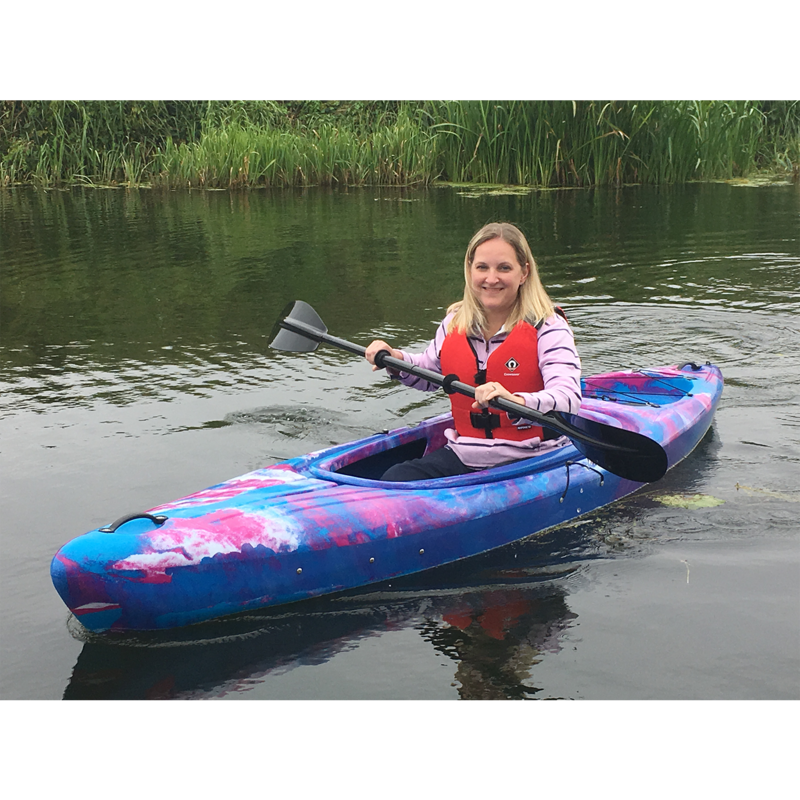 So you want to get into kayaking? Fantastic! 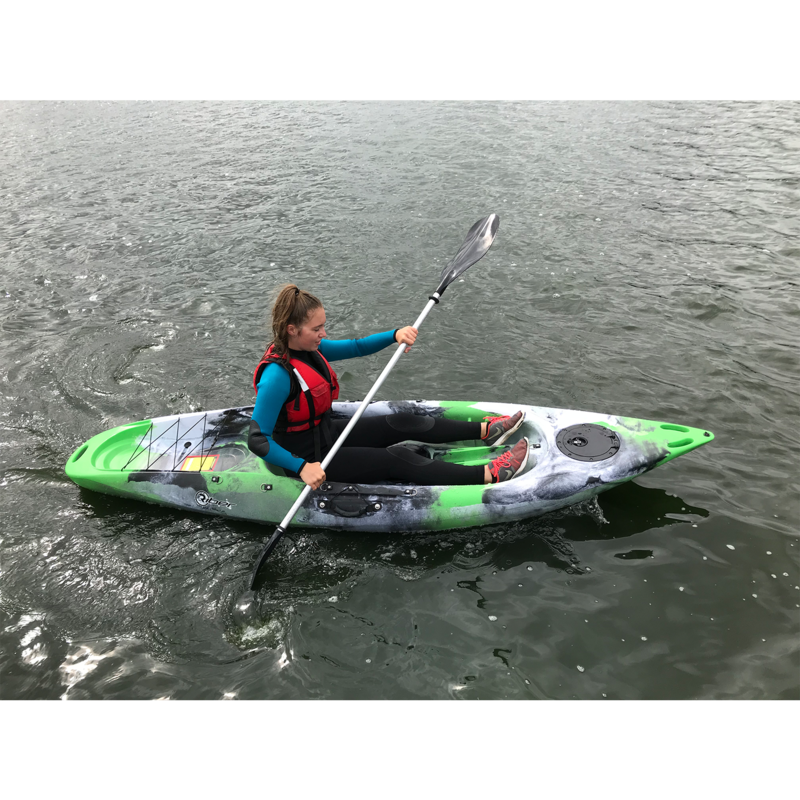 Whether you are a complete beginner or you’ve had some trial runs out on the water, the first step in purchasing your own kayak is deciding which style will be most suited to you. From sit on tops, to sit in kayaks, open canoes to white water tourers…the lingo can be a bit confusing if you are looking into this for the first time. Use our straightforward guide below which breaks down each style. Sit on top kayaks are very user-friendly. They’re very stable, easy to get in and out of and there is no feeling of restriction or confinement. This makes them a great choice for a beginner. These kayaks are also self-bailing, which means they have small holes (called “scupper holes”) that allow water to drain. 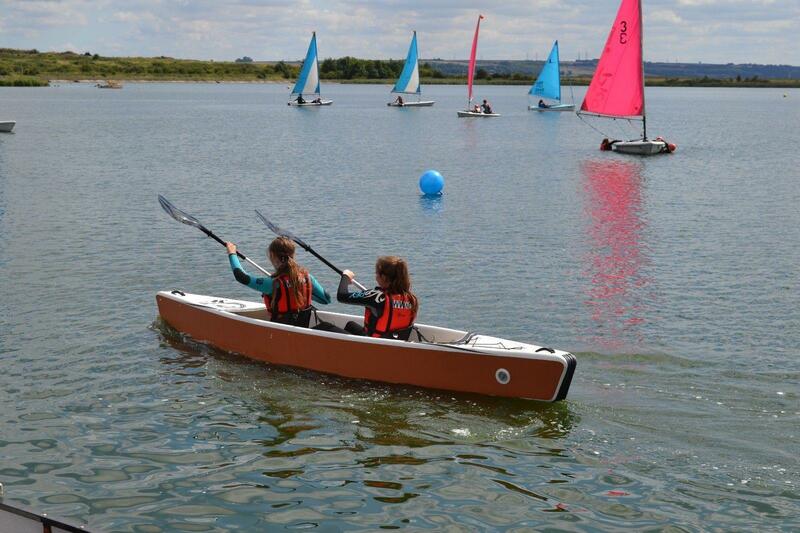 These kayaks work best when used with a backrest and we have a few options available. You can find these HERE. We recommend sit on top kayaks for nervous paddlers and warm environments where getting a bit wet isn’t a problem. They are ideal for paddling with kids or pets who may hop in the water for a swim. Sit in kayaks are a traditional style of kayak where the paddler sits in an enclosed cockpit. There are often adjustable footrests, cup holders and back support. These are located inside the cockpit to keep the paddler comfortable. Sit in kayaks are great for paddlers who’ll be paddling in cooler water and want to stay dry. We recommend spray decks to be used with this style of kayak. This is a type of protective “skirt” that goes around the cockpit. You can find our range of spray decks HERE. White water tourers are shorter, stubby boats which are built to be responsive and manoeuvrable in faster moving water. They’re usually a tight fit due to their length and are intended to be used with a spray deck to protect the user from getting wet. These boats are a lot of fun and best used on moving bodies of water, typically a white water river. 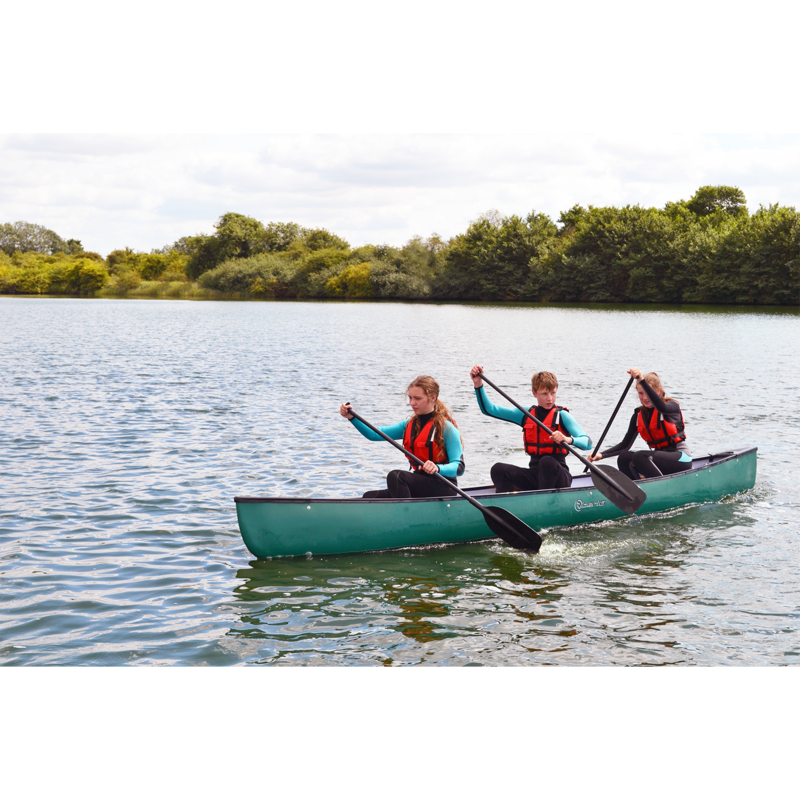 Our range of white water tourers are suitable for waters up to Grade 3. Open Canadian-style canoes are perfect if you are wanting to sit higher in the water on a robust and stable craft. 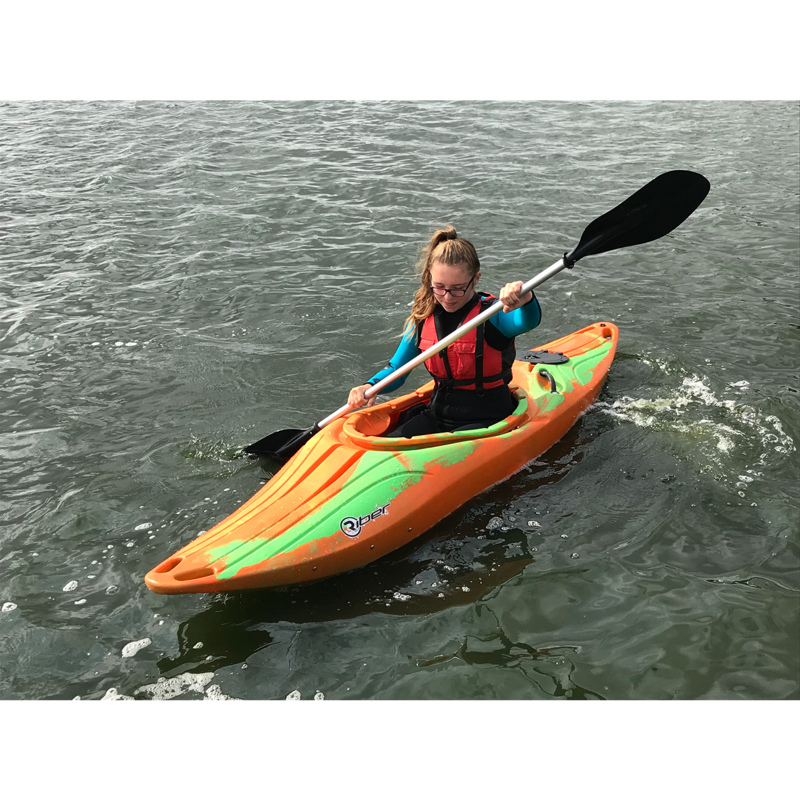 These are usually a lot bigger and heavier than kayaks, and our range can seat up to 4 people making them great for families or group outings. Canoes are also paddled slightly differently to kayaks. Where kayaks tend to use double ended paddles, with canoe you would usually opt for a one bladed paddle with a T-shaped handle such as this. Inflatable kayaks are a good option if you are looking to save on space or want something that is easily transportable. These kayaks pack down small and can often fit in the back of your car or camper van, making it simple to get out on the water. They are generally very comfortable to paddle and depending on construction can be surprisingly durable. Our drop stitch version, for example, is designed in the same way as inflatable SUPs making this kayak incredibly strong and hard-wearing. Inflatable kayaks don’t tend to be as fast as hard-shell kayaks, but they are incredibly versatile with the bonus of being easy to transport.